This site will follow my build of a Van's RV-14 aircraft. After years of deliberation, I have decided to build a kit built airplane. I chose the RV-14A from Van's Aircraft. The RV-14 structure is an aluminum airframe held together with rivets. The cabin accommodates two full-sized adults. It has a typical cruising speed of 180 mph and handles basic aerobatic maneuvers. The structure meets the aerobatic category standards of +6/-3Gs. There are several reasons for maintaining this Blog. 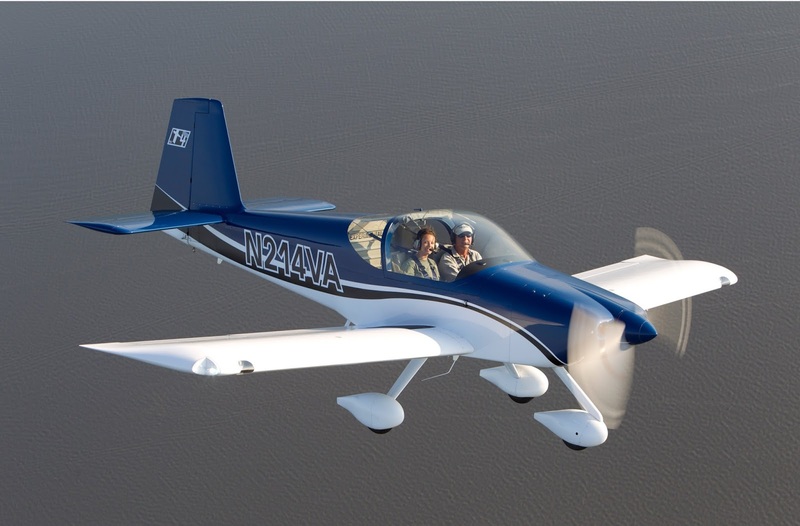 First, to be considered a "Home-Built" airplane, the FAA requires the builder to accomplish 51% of the total build. I'm not sure of the exact percentage of this kit, but I'm sure it's over 51%. The FAA further requires proof that you did in fact build the airplane. This is usually done with a journal, including pictures showing you doing the building, or a web-site such as this. This blog can also be used by the builder to review portions of the build many months or years later to help refresh their memory of how something was accomplished. Also, this site makes it easy for other builders to review my work, make recommendations, learn from my mistakes, or even help them with their build. With that in mind, I am not a professional aircraft builder... (yet:). I have been to Wichita, KS a few times, but my last name is not Beech, Cessna, or Van Grunsven! I try and follow directions and research each portion of the build as best I can, but use the information on this site accordingly. This Blog started August 2015. View pages below to follow build progress. Contact me for questions or suggestions.